Fisher and Ivy have been an item for a whole nineteen days. And they just know they are meant to be together. The fact that they know little else about each other is a minor detail. Over the course of twelve months, in which their lives will change forever, Fisher and Ivy discover that falling in love is one thing, but staying there is an entirely different story. The Two of Us is the story of a whirlwind romance and and the struggles of keeping a relationship together. The story is told through the eyes of Fisher giving this book a unique feel. For the most part it is a light and fluffy read, although, like every relationship there are times when Fisher and Ivy's journey will pull at your heartstrings. The characters are real and well written, making them easy to care about and drawing the reader into the story. 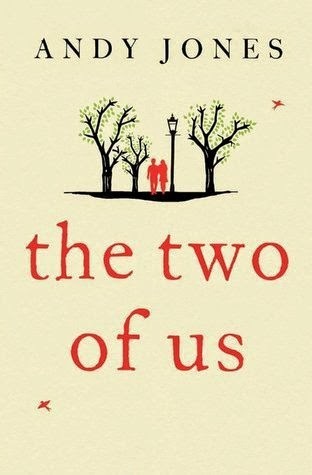 The Two of Us is a beautifully told story of love, friendship, loss and new beginnings that will stay with you long after the pages are closed. Thanks to Simon & Schuster Australia and Netgalley for the ARC.